It has been nearly two decades since I have taken any public transportation in Southern California. Much of that has to do with the fact that I have spent the last decade on the East Coast, but even on visits home to Southern California, the transit options that have dominated my outtings have been cars and, on occasion, bikes. Now that I am back in the area full time, it seemed like a good time to revisit some of the transportation options that are available, but have not explored in a while. What better way than to take an evening and explore the city that I grew up around? The perfect opportunity arose when my wife arranged to catch up with a former professor and we decided that afterwards, we would hangout downtown and grab a bite to eat before heading home. Let's be honest, the last generation Chrysler 200 was just plain. Plain awful. It really had no redeeming qualities as the interior was a dreadful place to be and it was so boring to drive, I was surprised that I managed to complete that trip without ending up in a ditch somewhere after falling asleep at the wheel. Luckily, the folks at the new, post-Fiat acquisition, Chrysler saw fit to replace the soporific old 200 with a brand new sedan that not only looks fantastic inside and out, but they also built it on a brand new chassis and added some new drivetrains that should help the 200 finally be a genuine competitor in the crowded mid-size segment. From when I first laid eyes on the car at the New York International Auto Show earlier this year, I knew that I had to find the chance to take one for a spin. During a recent trip to the DC area, I had the opportunity to pick up a relatively new (just over 2500 miles on the clock) Chrysler 200 as my ride for a weekend. Editorial: Shouldn't Supercars and Hypercars Come With a Mandatory Training Course? 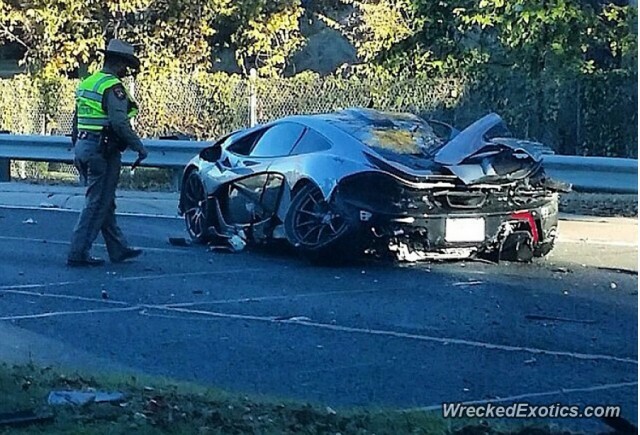 By now, I am sure most of you have heard about the guy who wrecked his shiny, new McLaren P1 within 24 hours of bringing it home. If you have not, I have linked the article for you after the jump. Now that you are caught up, let me first clarify by saying that I really do not care if you have the money to afford a million dollar hypercar. If you can, good for you. But just because you have the money to own one, does it mean you are automatically qualified to drive it? Hypercars, and even less powerful supercars, have far more horsepower than the average driver should ever be comfortable with on public streets. One stupid mistake, like the 27-year-old P1 driver made, and you could end up wrecking your extremely expensive car. To prevent these sorts of costly and potentially life threatening mistakes, supercar and hypercar manufacturers should enforce, or encourage at an absolute minimum, some kind of driver training program that must be taken before the buyer can take delivery of their new car, especially if this is the first car that the buyer has purchased from that particular brand. New supercar and hypercar owners would greatly benefit from learning about their brand new toy. Learning the limits of what your new car is actually capable of in a controlled environment means less chance of endangering other drivers and yourself while on public roads. It also means less chance of damaging your new vehicle to the point of total loss. If a driver cannot take the course seriously, then the keys should not be turned over until a certified instructor deems the driver ready to take delivery of their new vehicle. It seems harsh, but I think having a mandatory course like this would also help weed out super and hypercar owners who do not take driving seriously in general. After all, driving is a privilege, not a right. I guess it would just be easier if everyone had to take such a course, would it not? In the past year, we have seen announcements of research into a large number of different new technologies intended to make our roadways safer for all users. Everything from car-to-car communications, which would allow vehicles on the road to be able to talk to each other to help avoid accidents, to pedestrian safety technology, with improved capability to recognize pedestrian and cyclists to avoid crashes, to self driving cars. All of this technology is intended to help drivers avoid crashes with each other as well as other road users. Last week, we said hello to a brand new member of our long-term fleet and this week, we say good-bye to another. The second generation of the TSX got a rough start, being one of the first members of Acura's fleet to receive the much maligned "beak" treatment, but after a few mild adjustments as part of a mid-model cycle refresh, the TSX looked a bit refreshed and less clunky, though still far from stunning. In selecting the TSX, I was looking for a balanced small mid-size sedan with good performance, excellent comfort, and lots of practicality. Plus, by requiring a manual transmission and a manageable monthly payment, it limited the pool of potential candidates and the availability of cars made that list even shorter. 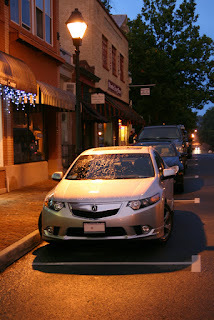 Over the course of our nearly 1,000 days with the car, my wife and I used it as our daily driver, but really the TSX was primarily a serious road trip car as we ended up mostly using our bicycles around town. F1: 2013 was a great game. It can be a bit tedious due to the realism and simulation-like quality of the game play. As I am always looking for another great racing game to play, I wanted to go back to something more arcade like; something I can just pick up and play without having to decide what tires to use or how much fuel to put in my car. Lucky for me, another Humble Bundle came out with some games that looked interesting to me. Among these games was Grid 2. I had recently played the first Grid in an arcade and found it to be fun and easy to pick up. 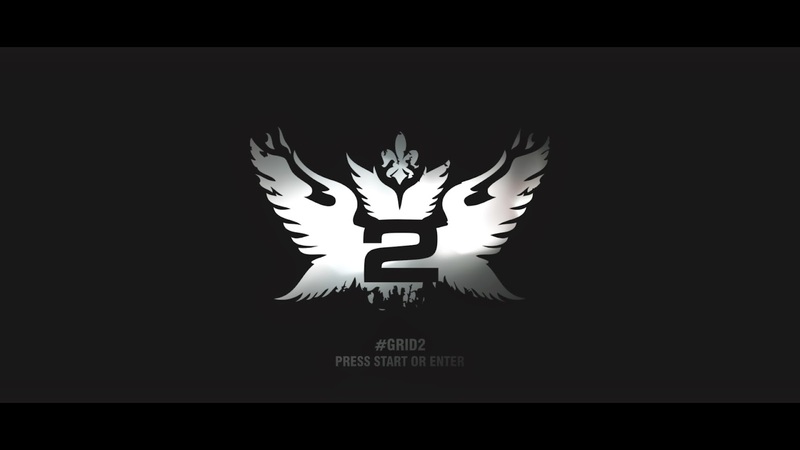 I figured Grid 2 should be just as entertaining. A rumor out of the SEMA Show in Las Vegas says that Honda could be working on a successor to the much loved Acura Integra and RSX. During the Acura panel at SEMA, head design honcho, Dave Marek, kept bringing up the Acura Integra of the 90s. No one is completely sure what to make of this, but if Honda really is working on an Integra/RSX successor, they are going to have their work cut out for them. When the ILX made its debut two years ago, Honda and Acura fans had thought that it was going to be the second coming of the Integra sedan: an affordable and practical Acura with an injection of sportiness and luxury. 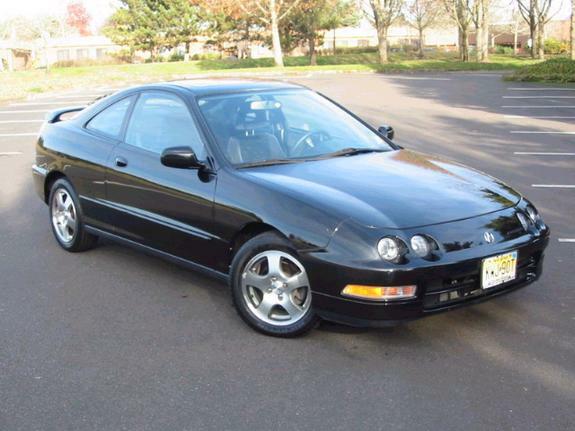 Unfortunately, the only version of the ILX that could even be remotely considered related to the Integra is the 2.4 liter equipped "performance" model. 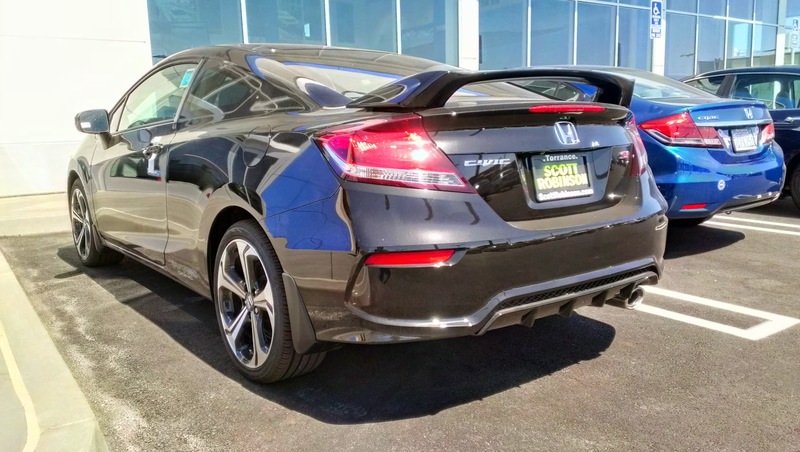 While the performance of this particular variant was decent, it only came with the six-speed manual and its overall packaging was not enough to differentiate it from a Civic Si. As sales numbers have shown, the ILX was far from a success and Acura needed to fix it. At this year's Los Angeles Auto Show, Acura introduced the all new, refreshed 2016 ILX that fixed the biggest issue with the car: the engine that everyone wanted was now actually equipped with an automatic (the TLX's eight-speed DCT technically). With all the new technology stuffed into the ILX though, it is still missing a coupe version to truly make it a successor to the Integra. As a cyclist, one of my biggest conundrums has always been figuring out the right way to carry my bikes when I want to travel with them. Last year, when we traveled to Vermont and Cape Cod, there were so many amazing places that my wife and I could have gone riding, but we did not because we did not have a suitable rack and renting bikes when we got there would have been challenging since we were always staying in somewhat out of the way places. When it came time to make our cross-country trip, I resolved to make sure that we could bring along our two blue vintage bikes so that we could use them as a means of exploring the cities along our route. Given the distance to be traveled, I wanted to pick something that was going to be able to hold two bikes we great stability while still being portable enough to remove quickly if needed so that the trunk could be accessed. A means of locking was also important because both bikes carry a great deal of sentimental value. After extensive research, I decided to go with the Thule Raceway 9003 Platform. This trunk mounted rack had the added benefit of platforms for the bikes' wheels to rest on and the general consensus seemed to indicate that platforms were desirable if one was going to be traveling long distances. The Thule seemed to meet all of the requirements I had set and, aside from being a bit hefty, would likely work well during our long journey. 2014 marks the first year in a while that East Brother and I were able to attend the Los Angeles Auto Show together. With two people at the show, we were able to cover much more of the cars and test drives that I ever was able to do on my own. We arrived at 9am, right as the doors opened. East Brother went in to cover the new cars while I started on the various test drive events. Here are some highlights from this year's Los Angeles Auto Show. The Sonata has continued to be bulletproof from a reliability perspective. Little more than basic oil changes and tire rotations have been required to keep the Sonata on the road. However, what continues to be a disappointment is the fuel efficiency. While Hyundai's problems with their reported EPA fuel economy are well documented, our fuel economy problems are a combination of location and excessive exuberance with the throttle. Going up hills has the car swilling fuel like a drunk at an all-you-can-drink happy hour. The Sonata's 2.0-liter turbocharged inline-4 motor is a gem and delivers solid performance, but at the expense of fuel efficiency. Luckily, it uses regular instead of premium, but even with gas prices falling, the need for constant fill-ups is surprising. On whole, there is much to like about the Sonata, but also much to be disappointed with, especially given how long it has been in our fleet. In less than two years, the car has managed to rack up an impressive amount of squeaks and rattles, which would be even more audible if not for all of the road noise. Open the expansive panorama moon roof and the buffeting was so bad that I could not hear myself think. Even when everything is buttoned up properly, the body torques and flexes, generating so many strange sounds, I am beginning to wonder if something is off on the body structure. Even rental cars I have driven with many more miles do not seem to make this much racket. While initial quality and reliability has improved dramatically, Hyundai may still have a long way to go to match longevity of the Toyotas and Hondas of the world. Regular readers know that Lexus is not exactly my favorite brand. Honestly the only thing that enticed me to even give the 4th generation GS a look was the presence of some insane lease deals that had the GS costing less than comparable cars in the class. Even the slow-selling Acura RLX could not be had as well-equipped for as little cash. So wanting to see if there was some sort of horrible disfigurement or problem that would justify the low price, aside from the low fuel economy and predator grille. I headed to my local Lexus dealer to see if I could scrounge up some quality time with this mid-size contender. When the invite arrived in my inbox, I could scarcely contain my excitement. It has been a while since I have had the chance to attend one of these events that offers the opportunity to drive a variety of different manufacturer's products back to back. I reached out to my brother and we quickly got ourselves signed up to participate, opting for a group that would allow us to have plenty of fun while driving a selection of cars that gave us plenty to chat about. On the day of the event, we hopped into West Brother's S2000 and headed up to Santa Anita Race Track (that's horse racing, for those not familiar with the LA area), which has an enormous parking lot that was not only housing this event for Rusnak, but also the homecoming dances for several local high schools. We checked-in and promptly jumped into line, just in time to be regaled by the sound of the dealership porters running a lap before they put away the cars from the last group on the small, but well-designed, track. What do you think when you hear the phrase "mid-sized super sedan?" Most people would think of cars like the BMW M3, the Audi RS4, and the Mercedez Benz C63 AMG. Why only those three cars? If there is one thing the big three German car manufacturers do right, it is mid-sized super sedans. Personally, I have always wanted to drive and possibly own one of these three super sedans. Lucky for me, the opportunity to drive one for a full day on my birthday gave me the chance to tick one more item off my bucket list. East Brother showed up to my apartment the morning of my birthday with a very loud surprise. As I approached my own car, I saw a silver, 2014 Mercedes Benz C63 AMG was parked behind my S2000. Naturally, this was a huge surprise, as the German "hot rod" (as I like to call it) has been a car I have been wanting to drive for a long time. As I approached, East Brother began revving the engine of this beast, confirming my nickname for the car to be completely accurate. The C63's 6.2 liter V8 sounds a lot like the big V8s you find packed into American muscle cars. Listening to that car's engine and exhaust note sent a chill up my spine. Not long after East Brother returned to the west coast, I proposed and experiment: trade cars for a week to see how we would get along with each other's cars. I figured this would be an interesting experiment to try considering the only similarities between my S2000 and his TSX SE are that they were both built by Honda in Japan, and have a six-speed manual transmission. Besides those two similarities, the Honda S2000 and Acura TSX are two completely different machines, built for different purposes. I went into this experiment knowing things would be very different, so I figured nothing was going to surprise me. Just as expected, there was more space, the cabin was quieter, and the suspension was more compliant. In typical Honda fashion, the transmission was excellent, with a fantastic solid feeling from the shift lever. The lighter clutch took a little to get used to, but again, it was something I expected. So far, it sounds like everything I had expected from transitioning from a two seat roadster to a sedan. In the last few weeks, I have had occasion to visit the CA DMV twice. Usually, the very thought of visiting the DMV makes me want to curl up into the fetal position and babble uncontrollably. It is so bad, I look for every possible way to avoid having to do it, taking care of as many things as I possibly can ahead of time so as to minimize my time spent in the wretched place. My experience in VA, for instance, was standing outside behind at least 100 people on a swampy, muggy late summer morning, fully an hour and a half before the DMV opened, just to make sure that I could get out of there before noon. In DC, at least the location was indoors, but despite arriving an hour before opening time, there were already at least 100 people in line in front of me and it still took over three hours to finish a few simple procedures. By far the worse experience was in MA, where I not only ended up spending an entire afternoon at the DMV, but was forced to go twice because each visit to the DMV can only include three transactions, a limit that was met by my need to get a new license, title a vehicle, and then register that vehicle. Given all of these rather miserable experiences, it should be no surprise that I was not exactly looking forward to paying the CA DMV a visit. This week, the automotive and radio worlds lost a great voice. Tom Magliozzi, half of the pair that makes up the Tappet Brothers of NPR's CarTalk radio program, passed away from complications from Alzheimer's disease. As a long-time fan of the show, my weekend morning routine often consisted of making my breakfast while listening to Tom and his brother Ray cackle and tease each other through some hilarious calls, helping listeners along the way to solve many automotive conundrums, or at the very least, get a good laugh out of the crazy questions. Tom's passing is truly a loss to public radio listeners and the automotive world, but also the cycling world. In fact, Tom has always been a major supporter of cycling, stating in a 2002 interview that he does not even own a car and prefers his bicycle and public transportation to get around the Boston suburb that he calls home. Our condolences go out to the Magliozzi family, in particular to Tom's brother, and co-host on CarTalk, Ray. Hopefully Tom's legacy can continue to live on in the form of the ongoing presence of re-edited versions of CarTalk on NPR's weekend radio line-up. Tom Magliozzi, thank you for the many hours of laughter and education you brought to your listeners. You will be missed! Editorial: Will the New EPA Regulations Kill the Horsepower Wars? With new cars supposed to achieve an average MPG of 34.5 by 2016, you would think that car manufacturers would have shifted their focus to squeezing every last MPG out of their new cars. However, cars like Dodge's all new Charger and Challenger Hellcat only prove that the horsepower wars are alive and well. For an avid car fanatic, like myself, knowing that car manufacturers still care about trying to squeeze every last drop of power out of their cars is always great news. It is even more exciting knowing that cars like the Hellcat duo are making their insane horsepower numbers without the help of electric motors or fancy alternative fuel systems. But with 2016 looming ever closer, how much longer can the horsepower wars keep going? Wishing our fellow car, bike, and motorcycle loving ghouls and goblins a Happy Halloween. We have been on hiatus for the last couple of weeks, prepping some new content and gearing up for this year's upcoming LA Auto Show. We will be back next week with fresh reviews and some updates on the changes to our long-term fleet. In the meantime, enjoy this VW Beetle dressed up as a peep! As a reminder, regardless of if you are joining in the fun tonight by car, bike, or motorcycle, please make sure you exercise good judgement and do not hit the road with your judgment impaired. The last you want to do is to end up like this guy. Hope everyone has a fun and safe Halloween! Editorial: Are Manuals Really Dead? "The manual transmission is dead." That is what everyone keeps saying, and they certainly have good reason. People used to buy manual transmissions because they offered an advantage in fuel economy and vehicular control. With the advancement in automatic transmissions though, including CVTs and DCTs, those advantages no longer exist. The argument now is, "why have three pedals and row your own gears when the car can do it for you? You want control over your own gears? Just slap it into 'sport' mode and change gears yourself with paddles!" Yes, manual transmission take rate has been steadily falling every year. In the last few years, that percentage has been somewhere in the low teens. Sure, there are certain "enthusiast" models that only come with a manual transmission, such as the Honda Civic Si, the Subaru WRX STi, and the Ford Focus ST and Fiesta ST. Purchase rates for these types of vehicles is not exactly low, but they simply cannot hold a candle to their more pedestrian, automatic equipped cousins in terms of sales numbers. 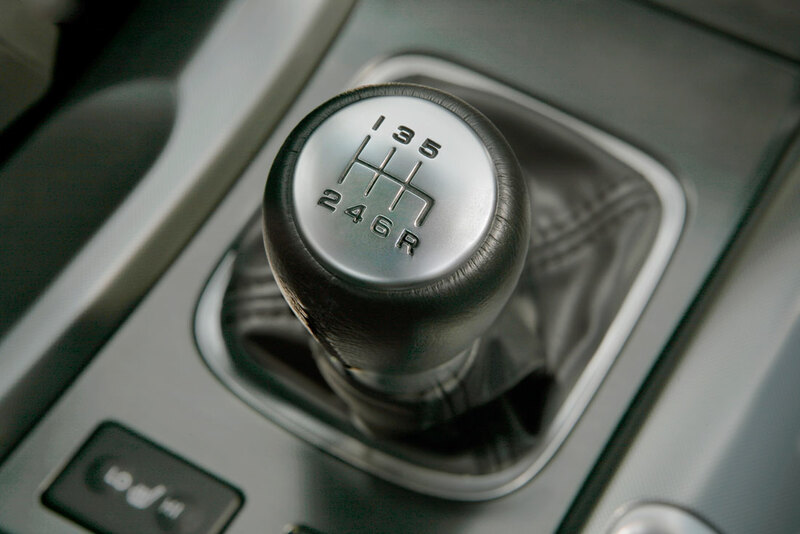 With manufacturers like Porsche, who used to exclusively build their vehicles with manual transmissions, now offering less and less manual choices, it would seem the final nail in the coffin for manual transmissions is coming sooner and sooner. Despite the grim outlook for manual transmissions, there has been encouraging news in the last few months, keeping the Grim Reaper and his bony mitts off our manual gearboxes. The new C7 Corvette has a 35% manual take rate. This may seem low compared to the automatic version, but it is still much higher than other cars in the same class. For more encouraging news, we look at the recently introduced Dodge Challenger Hellcat, with its glorious 707bhp supercharged V8. The Hellcat is offered with both a six-speed manual and an eight-speed automatic. Reports have come in showing that the six-speed manual is outselling the automatic by a ratio of 55 to 45. Finally, rumor also has it that BMW will be introducing the new M2 coupe with only a manual transmission. For enthusiasts, this is big news as it has been an incredibly long time since BMW has introduced an enthusiast model that comes with only a manual transmission. The impending death of the manual transmission has been a topic that has, admittedly, been beaten to death. However, with news coming from the automotive world that manufacturers are actually starting to pay attention to us three-pedal guys again, it could very well mean manuals still have a good few decades left. Does it mean the next generation will have manual transmissions to drive? Only time will tell. What I can be sure of though, is that when I have kids, you can be damn sure I will teach them to drive in a manual, even if it kills me. It has been a crazy weekend as a fast decision late on Friday night led to the departure of one of our long-term cars from our fleet and the arrival of a brand new one. Both of these will see updates in the coming months, a final wrap-up for the departing car and an introduction to our new long-term car. For now, all we will say is that this is a totally new car ownership experience and we are excited to share our thoughts with everyone as we learn to adapt to a very different lifestyle. Also, it is not an Acura. Stay tuned to learn more. In the meantime, read more about our existing long-term fleet by visiting the "Our Garage" section of this site. Every Tesla fan was likely glued to the web last night to find out about the latest from the electric auto maker and Elon Musk did not disappoint. The announcement of a dual motor all-wheel-drive version of the Model S corroborates the various rumors that had been swirling around all week. However, unlike the usual AWD systems, which saddle cars with extra weight and complexity, contributing to losses in performance and efficiency, the dual motor AWD system in the Model S seems to do exactly the opposite, actually improving efficiency and increasing the cars overall range while adding nearly 50% more horsepower and dropping the 0-60 mph time by over a full second in the now 691-hp P85D trim. Judging from the various videos floating around online of first impressions, this thing is an absolute monster. On top of all this Tesla has also announced that starting from two weeks ago, every Model S built has the hardware installed for its new Autopilot features, which will be a part of the Technology Package going forward. This adds several cameras, sensors, and systems to allow the Model S to virtually drive itself. The car is able to operate the throttle, brakes, and steering to essentially drive itself, doing everything from managing your cruising speed by reading the speed limit signs to executing a lane change upon command, all without the driver touching the steering wheel or pedals. While the hardware has been included in recent production cars, the software to power this impressive feat of automotive engineering is still being finalized and will be released as a part of an over the air update. Unfortunately, there is no way to retrofit the hardware to older Model S cars. As huge fans of the Model S, it is hard not to applaud Tesla for adding such admirable improvements to their cars, especially in an ongoing manner. The addition of such features not only toes the line on what is legally allowed at the moment for autonomous vehicles, but also shows that as a company, Tesla is committed to continued innovation. We look forward to taking a test drive of a car equipped with these new features so that we can share further impressions. More details linked after the jump. Many drivers have the misconception that anything that removes space from their precious roads is an impediment to their forward progress. The loss of lanes to parking is already an affront to their vision of free-slowing traffic, so one can only imagine that the loss of a traffic lane, or even the reduction in the size of a traffic lane, in order to install a bike lane would be a truly serious offense in their eyes. The idea that slow moving traffic would somehow have no impact on the free flow of traffic seems antithetical to traditional logic. And yet, a recent study of bike lanes in New York City, one of the most traffic snarled metropolises in the US shows precisely that. The installation of bike lanes, particularly those protected bike lanes that completely separate car traffic from bike traffic, have not only not slowed down traffic, but in some cases, have actually improved traffic flow. On top of that, not only has traffic improved, but cyclist injuries, pedestrian injuries, and traffic incidents have decreased in significant numbers. If in a massively traffic snarled city such as NYC, protected bike lanes are able to have such a tremendous impact, imagine what adding these to other major cities, such as Los Angeles, could do to improve driving conditions and reduce congestion. NYC has the obvious advantage of greater population density, but even adding them to the immediate suburbs surrounding the city of Los Angeles would make a tremendous difference in the near term and combined with greater investment in public transit options, could make dramatic improvements in the long term. Hopefully more studies will continue to reveal that increasing bike traffic in major cities is a great way to ease car congestion and, perhaps, reduce pollution as time goes on. Link to the full study after the jump. To some, driving is a chore. The slog every day of getting up in the morning to join the the lemmings on the road, inching along at a snails pace to arrive and put in a a full day of work, only to be faced with the same terrible conditions on the drive home. For even the most dedicated of gear heads, such drudgery is just utterly painful. Yet, there are some of us who see driving as an opportunity so focus our conscious minds on a mechanical task that allows the subconscious mind to wander freely, handling the work of solving some of the great challenges in our lives, those great paradoxes that have been plaguing us. For me personally, ever since I started driving, it has become my go-to activity to clear my mind. Many job decisions, major purchases, and even serious life-altering conclusions have been arrived at following a long drive. Working the clutch and shifter, focusing my mind on finding that next apex, sensing the tire adhesion and road conditions, all have a surprisingly de-cluttering effect on my subconscious, allowing it to piece together thoughts that might otherwise have been obfuscated by the millions of things rattling around in my brain at any one time. The driving clears my head long enough to allow the related thoughts to gel into something coherent. In recent weeks, things have been a bit crazy around here. Lots of things have cropped up and our lives have developed a level of complexity that was, to say the least, unexpected. Finding the time to figure stuff out has been challenging, but, luckily, the one thing California is not short on is driving. In the last two months, since our departure from Boston, I have driven more miles that I have in nearly the past year and a half. Not every one of those miles was spent in contemplation, but when I needed the time to clear my head, the opportunity has been there. For me, regardless of if it is a work matter, a personal matter, or a financial matter, spending the time on the road, whether behind the wheel or in the saddle is a better form of therapy than doing just about anything else. With most of the country behind them, our intrepid travelers power through the home stretch, passing through Lake Las Vegas as a final stop before completing the final leg to Southern California. Missed their last adventure? Click here to read all about it. The excitement of the trip rose to a crescendo with our stay in Moab. The reality that the trip was coming to an end finally hit home as we packed up the car the following morning and made our way to the final stop. Along the way, we ran into a little trouble with the Thule bike rack, resulting in the need to do a little roadside repair and a whole lot of anxiety about whether or not we would manage to make it back to Southern California with both bikes intact. I will save the gory details for our full review of the Thule rack, but to put it mildly, I would seriously think twice before purchasing another Thule product because of this experience, especially with the subsequent terrible customer service. The trip encompassed 18 days and kept us behind the wheel for some 4,643 miles through 21 different states. We actually stopped and properly visited locations in 17 different cities and saw nearly two dozen friends and a dozen family. The trip required 10 fuel stops and the TSX turned in great fuel economy at around 27.16 mpg, frequently going over 500 miles between fuel stops, despite the regular stints at 75 mph on the interstates. We were fortunate enough not to experience any major problems along the way and aside from running out of fuel in Nashville, we encountered no problems at all. The TSX was an impeccable travel companion. Despite carrying all of our luggage and the bikes, it drove well no matter what we threw at it. Even as the air thinned climbing up to the heights of Denver and beyond, while the performance suffered as is expected of naturally aspirated engines, the balanced chassis, clean handling, and excellent manual transmission make the TSX a joy to drive. However, it is not entirely without its faults. The cabin noise, for instance, can reach slightly irritating levels, especially on surfaces that were anything but perfectly smooth. Also, the dated electronics, especially for a car built in 2012, meant we were supplementing the in-car systems with a portable GPS unit and our cellphones. An inconvenience that Acura thought drivers of manual transmissions were okay with as the 2012 model year TSX was only offered in a single trim with the excellent 6-speed manual. All told, this trip was an amazing opportunity to see parts of the country we might never have otherwise spent much time in. Having grown up on the west coast and spent my last decade on the east coast, the middle of the country has largely been flyover territory. This trip changed that and for me personally illuminated some amazing places that I would like to return to in the future. This trip was also an opportunity for both my wife and me to experience the cycling culture of various cities and see just how much progress cycling has made in returning to the limelight as a mode of transportation. Most cities in the US are still a long ways from becoming paradise for cycle commuters, but at least things continue to advance in the right direction as cities start to realize the value and importance of having infrastructure for cyclists. This was an extraordinary trip and we feel fortunate to have had the opportunity to do it and to share our experience. It may be another decade or more before we can do it again, but it would be fantastic to take an even more extended period to try to reach the remainder of the lower 48 states we have not yet visited. But for now, we are going to enjoy our time in Southern California with friends and family. After two days in the thin air of the Rocky Mountains, we bid farewell to Colorado and returned to the road, finding ourselves crossing miles and miles of amazing landscape to reach Moab, UT. Here, we parked our road bikes and picked up a pair of rented mountain bikes for our first excursion in the dirt. It was hot. Not quite a drenching-yourself-just-by-stepping-out-of-the-house-because-it-is-humid-as-all-hell kind of hot, but rather the fabled "dry heat" that is endemic to the western part of the United States. We had packed quite a bit of water and planned out a route using the local trail maps so we were feeling confident that this would be fun. As avid road cyclists, and having already ridden in the steamy conditions of Atlanta, we figured we were plenty prepared for a full day of riding out here. What we were not prepared for was just how dirty we would get and how much fun we would have. This was genuinely our first experience doing any real mountain biking. 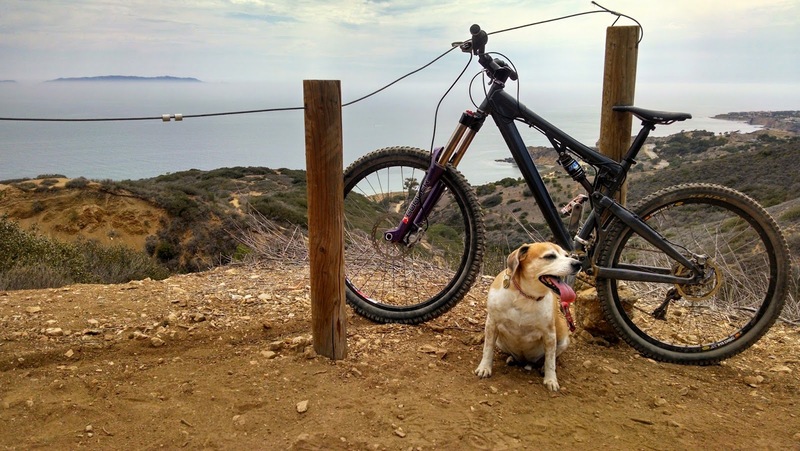 The rented bikes we had, a Kona Process for me and a brand-spanking new Trek Lush for my wife, were equipped with full-suspensions, massive wheels, grippy off-road tires, and disc brakes, meaning we could confidently ride and enjoy ourselves. Since we are total newbies at off-road riding, we decided it would be best for us to familiarize ourselves with the bikes by starting on a small flat trail right near the entrance to the lot where our car was parked. The first few strokes felt normal enough and the super short gearing meant pretty easy pedaling, especially on such a flat surface. Then, about 50-feet in, we hit the first bit of loose dirt and a few small culverts, causing the rear tire to break traction and the rear of the bike to start to skid and slide on the mud. Chunks of red dirt flew up and splattered our legs as we rode on. This was going to be fun! Lately, most of my time with the MDX has been as a passenger. From the passenger seat, the MDX is still extremely comfortable, but it offers a lot more time to examine the material quality of the cabin. While most surfaces live up to the touch test, a few pieces that would be less noticeable when one is focused on the task of driving are under far more scrutiny from the right side of the cabin. Take the controller for the upper screen, which hardly gets much attention since I tend to rely on a combination of the touchscreen and voice control from behind the wheel, but playing with it from the passenger seat makes it feel slightly less premium. The motions and actions are all well-damped, but the controller itself begins to feel slightly plasticky after extended use. If Acura were to craft this from real metal, or at the very least, surround it with a veneer of real metal, it would go a long way towards making if feel much nicer. Of course, the backseat is quite comfy. Spending several hour-long car rides back there does not feel at all like being a second-class traveler, unlike flying economy-class these days. In fact, leg room is more than plentiful and the ability to adjust the seat fore and aft offers even more flexibility to stretch out. While there are not a ton of amenities without the Rear Seat Entertainment Package, it is still a plenty enjoyable place to be and even full-size adults should have no problems spending a couple of hours back there, watching the scenery go by. As a beast of burden, the MDX is excellent, with a huge amount of available cargo space. The airport pickup or Goodwill donation run is absolutely no contest for the MDX's rather cavernous rear hatch. With the third row seats folded, I was able to easily fit several suitcases and folding the second row seats offered up room to fit 6 large boxes and several odd sized objects. Hopefully by the next update, I'll have had a chance to throw our bikes in the back to see how easy they are to carry and transport, ideally in conjunction with a longer road trip for a little more time behind the wheel. After some delicious KC BBQ, our road-weary travelers, now more than halfway across the United States, are back on the road and driving through the plains of Kansas. Catch up on the last installment of their adventure here. A late morning start put the Rocky Mountains in view around late afternoon. At first, little more than a faint outline in the distance, the profiles of the jagged peaks came more sharply into focus as time passed and the sun sank in the sky. The corn fields of Kansas in our rear-view, we began the climb up to the Mile High City, arriving on the outskirts of downtown Denver just as the sun set. Dinner that evening at Biker Jim's Gourmet Dogs included some interesting selections (pheasant and rattlesnake, anyone? ), though it was the blackened cauliflower that was the real highlight of the evening. The next morning, we biked downtown for breakfast, before reloading all our gear in the TSX and setting out for Mt. Evans, the highest paved road in North America. Despite the thinning air taking a massive chunk out of the TSX's performance, the winding road as we raced for the peak proved enjoyable nonetheless, each switchback and hairpin revealing ever more breathtaking scenery. The ascent revealed the excellent chassis control and communicative steering of the TSX, but also just how direly this well-developed chassis calls out for a light-weight, high performance motor, preferably of the forced-induction variety. As we reached the parking lot just below the peak, we could look back down the mountain and see the tiny strip of asphalt that we just climbed. At over 14,000 feet, the air is thin and the impact is immediate as we take our first few steps. We grabbed a day pack with our camera and began the short hike to the highest point. We rejoin our travelers as they depart from the state of Tennessee and continue their journey out west. Missed the last episode? Click here to read it! Back on the road, quickly find ourselves leaving Tennessee and entering Kentucky. The weather continued to be unpredictable and lashed out with bouts of heavy rain as we headed north on I-65 through the rolling hills. Our journey today would take us further west, but before we hit St. Louis, we wanted to squeeze in a quick visit to one of places every car nut should find the opportunity to see: the National Corvette Museum in Bowling Green, KY.
in the country and includes everything from prototypes, classics, and current models. There are also several fully decked out race versions that have competed at LeMans, in ALMS, and other sports car racing series where the cars were dominant in their performance class. The massive concrete structure is also home to the now infamous Corvette swallowing sinkhole that devoured several cars earlier this year, including at least one virtually irreplaceable collector car that was on loan to them from a customer's private collection. For any fan of racing, car design, and American sports cars, there are few places that feel as complete and thorough in its admiration for a single vehicle as these hallowed grounds. The journey has taken our travelers down a large portion of America's eastern coast and deposited them in the fiery furnace that is Hotlanta. We pick up the trail again and join our travelers as they head to Tennessee. Missed part 2? Click here. After loading up and bidding our hosts farewell, we got back on the road and aimed the TSX northward towards Tennessee and the city of Knoxville. Knowing nearly nothing about the city, aside from the fact that it was near the Great Smoky Mountains, we both looked forward to the visit, especially since it was an opportunity to see some friends we had not seen in a while. Since the stay would be short and our hosts were themselves returning from a road trip, we decided that we should take the opportunity to visit downtown Knoxville and relax a bit, possibly sneak in a massage before dinner. Of course, things never go quite as planned. The combination of a bit of traffic and at least one detour as we were leaving Atlanta resulted in us being a touch behind schedule. As much as we tried to take advantage of the higher speed limits to make up for lost time, we were going to be getting into Knoxville a bit later than expected. It was not really any cause for concern, of course, since we had budgeted plenty of time. Then the low fuel light came on. Normally, this signals that there is approximately 2 gallons of fuel left in the tank and at our current rate of travel, we easily had plenty of range to make it into Knoxville and then gas up. As we arrived in Knoxville, the remaining range display on my dashboard went to zero, so fueling up was to be our first order of business. Unfortunately, it appears that top tier brands are not popular around downtown Knoxville because we struggled to locate one nearby and ended up having to drive a little ways to eventually find one. We followed Google Maps, thinking that the information would be relatively up to date, but the first option was a dud, dropping us at a sketchy-looking run-down location that clearly was not an active gas station. We changed course and found another option not two miles away. Rounding the corner, I could see the station off in the distance, just beyond the next set of stop lights. At precisely that moment, the engine voiced its displeasure with a cough. I nursed the car to the light, keeping it moving and trying to optimize the use of momentum, but the car was fighting back at this point. The light went green and I gently nursed it through, hoping that we had enough momentum to make the last 30 feet, but alas, no such luck. The TSX unceremoniously sputtered out as I attempted to turn into the gas station. When we last left our intrepid travelers, they had just spent the day exploring the Finger Lakes. In today's installment, their adventures continue to take south along the East Coast of the United States. To read part 1, click here! After a good night's sleep, we packed up the car, bid farewell to our cabin, and set course for NYC, where we would be seeing some friends for dinner. On the way out of the Finger Lakes area, we made a quick stop at Watkins Glen International Raceway, because the gasoline flowing through my veins would not allow me to be so close to a race track without stopping for at least a look. Our drive for the day took us through Pennsylvania and back into New York before we arrived in NYC during the late afternoon at the Chelsea Pier. The stop in NYC was brief, but hectic and we spent that evening in Princeton, NJ with friends before heading out to DC the next morning to see some family and friends. Day 5 opened with us in familiar territory as we headed towards Charlottesville, VA, a city we have visited several times. The original intention was to stop in the area for lunch, but progress was so good that we continued on and actually made it onto the Blue Ridge Parkway. This was my first opportunity to drive this legendary road and it was a blast, low speed limit and all. However, it actually was not the BRP itself that impressed me the most, but rather Route 56, a tiny twisty two-lane highway that connects the BRP to Lee Highway and I-81. The TSX performed like a champ, dancing through the corners with aplomb, its weight distribution no doubt a bit more balanced by the presence of our luggage and bikes towards the back. While it would have been fun to stay on the BRP the entire way into Asheville, we had hundreds of miles to cover so we opted to take the most direct route for the remainder of the day, which would take us through several states and all manners of stunning terrain. This summer marked the beginning of a new chapter in our life. My wife and I decided that we would be departing from the East Coast to return home to California to be able to spend more time with our families. Rather than just pack our stuff up and fly across the country, we decided this was the perfect opportunity for a cross country road trip as who knows how long it would be before another chance came along. This series will chronicle our adventures, which were partially shared on our Facebook page during the trip, as we explored many parts of the US that neither of us has spent much time in. We hope you enjoy the adventure! Our departure time already upon us, I quickly scrambled to get the final items loaded into the back seat of the TSX. The trunk, strategically arranged for priority of access, was already full to the brim and the bikes were already on the rack. My wife's aunt, who had kindly allowed us to bivouac at her home for our final few days in the Boston area, saw us off as we finally set off, a bit later than we had originally anticipated. Despite being loaded like a pack animal, its rear end sagging noticeably, the TSX still felt sprightly, turning with aplomb and only suffering modestly in acceleration. Of course, with the added weight of both of us, our luggage, our provisions for the trip, and the massive bike-rack with two bikes on it, I was most concerned about stopping more than going, Acura's brakes having long been one of the weakest links in the performance chain. Still, aside from a bit longer stopping distance, the TSX delivered predictable stopping power and got us safely to our destinations. Jumping on the Mass Pike, we crept our way through parts of central Massachusetts before the roads cleared and we cruised through Western Mass into upstate New York. The setting sun, hanging low in the early evening sky, cast a pale pink glow over the vast expanses of greenery bordering the Mohawk River. As we drove on, and the sun set further, the areas bordering the road filled with dense fog covering up most of the scenery and making for a rather eerie experience. We pressed on, passing through the college town of Syracuse, chasing the final glimmers of daylight. Let me start by saying that before this trip, I had never been to Canada (my few hours in the Toronto airport during a layover really does not count). My, admittedly stereotypical, impression of Canada was that it was full of Dudley Do-Right push overs and female lumberjacks. So when the suggestion came up to do a weekend road trip, I was definitely interested, especially since it would not be long before we would be moving away from the Boston area and no longer within easy driving distance of the Canadian border. For the trip, we selected the closest major city, Montreal in Quebec and I promptly went to work getting all of my travel documents updated. Our party for the trip consisted of my wife and me along with two of our friends from my wife's grad school. Early on, we made a decision to minimize costs, and thus turned to Airbnb for accommodations. Since the itention was a road-trip, the TSX, with its rather capacious interior and plentiful trunk space was pressed into service for the journey. Once we arrived in Montreal, the idea was to use public transportation as much as possible to avoid racking up massive parking expenses. Luckily, Montreal happens to be the home of Bixi, the bike share company that supplies the docks and bikes to bikesharing programs across many cities in North America, including both Boston and Washington, DC. A plan was hatched to make use of Bixi's rather extensive network and to spend some time biking throughout the city, which would turn out to be an adventure in and of itself.